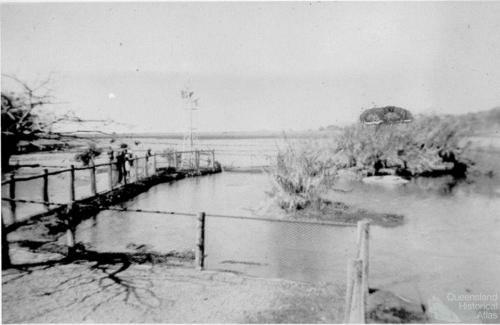 Crocodile enclosure at Mount St John Zoo, 1940s. St John Robinson was able to observe crocodiles building their nests in this enclosure. 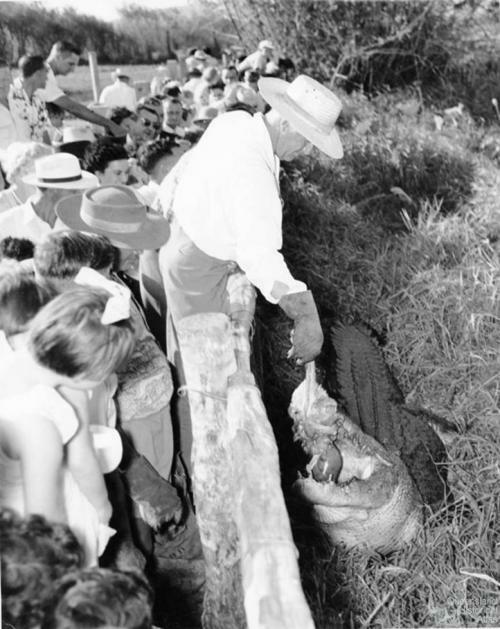 Crocodile feeding at Mount St John Zoo, 1957. Crowds at the Mount St John Zoo had a close-up view of crocodile feeding time. 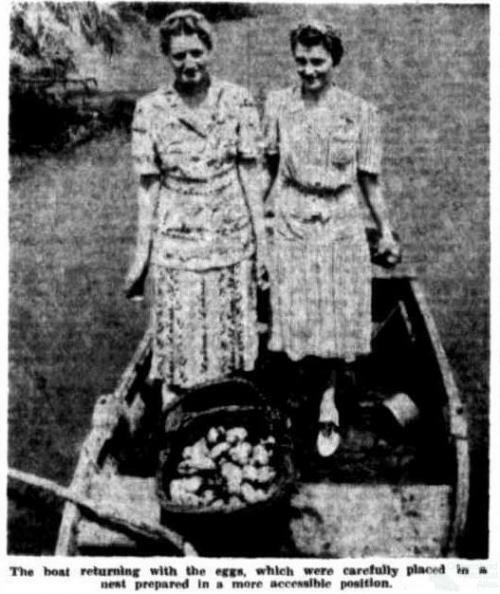 The Fryer sisters used a boat to retrieve a clutch of crocodile eggs from a nest in the centre of the lagoon at Mount St John Zoo. 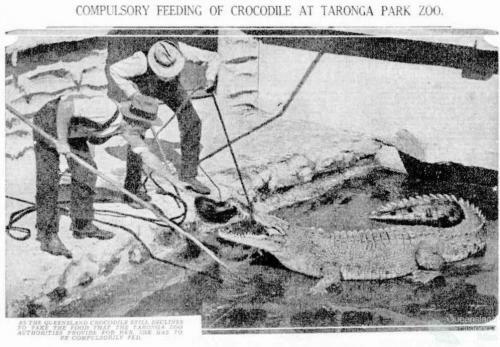 Compulsory feeding of crocodile at Taronga Park Zoo, 1934. 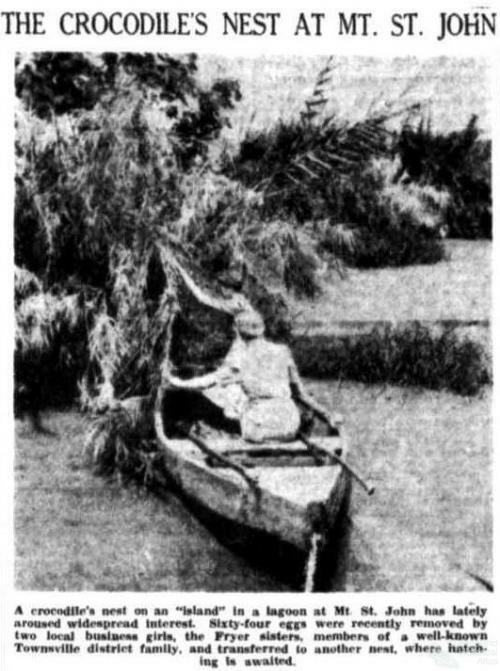 The Mount St John Zoo was a popular attraction in the Townsville region in the 1930s-40s, widely acclaimed as the largest privately-owned zoological garden in Australia. Crocodile caught near the punt on the Normanton River, trapped by the local police sergeant, Normanton, 1973. Slide by John Hindmarsh. 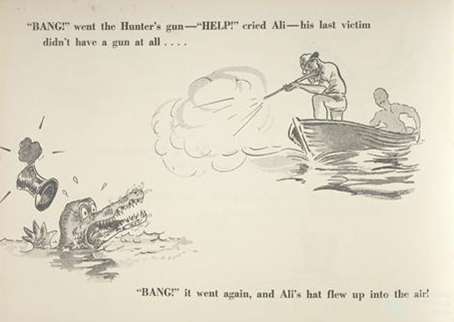 Rene Henri, founder of the Australian Crocodile Shooters’ Club, also wrote a children’s book featuring crocodile hunting.